During the American Civil War, after his family is killed by Confederate raider William Quantrill, a young farmer seeks the help of a famous gunfighter in order to exact revenge on Quantrill. 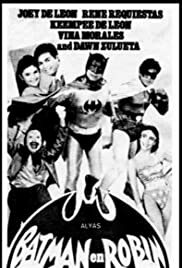 Batman and Robin of the 1960s live action series are back in action to take down their fiendish foes united once more against them. Batwoman is called to investigate a whacked out scientist that is capturing wrestlers and using their spinal fluid to create a Gill Man. A young man gets a job repairing hot tubs for the rich and famous in Tinseltown, thanks to his parents. As he moves from one bubbly tub to the next, sexual situations change accordingly. A very cheap, boring "version" of the dynamic duo. Anybody at DC Comics should file a case against those who are responsible for this crap. This is a complete diss Bob Kane and the million and million of Batman fanatics! 2 of 14 people found this review helpful. Was this review helpful to you?